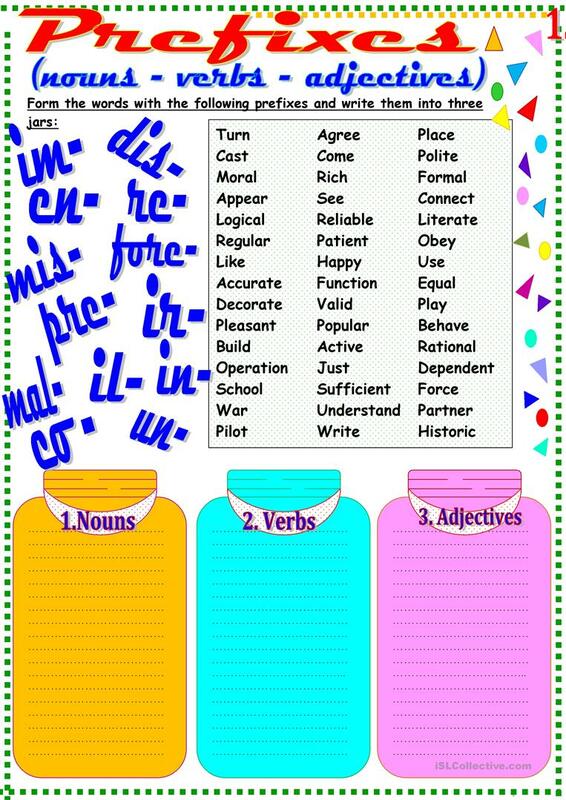 Worksheet for English teachers to teach prefixes of nouns, verbs and adjectives to students of English as a second language. Key is included. Hope you will like it. Thank you!! The present downloadable teaching material is a great resource for high school students, elementary school students and adults at Elementary (A1), Pre-intermediate (A2), Intermediate (B1) and Upper-intermediate (B2) level. 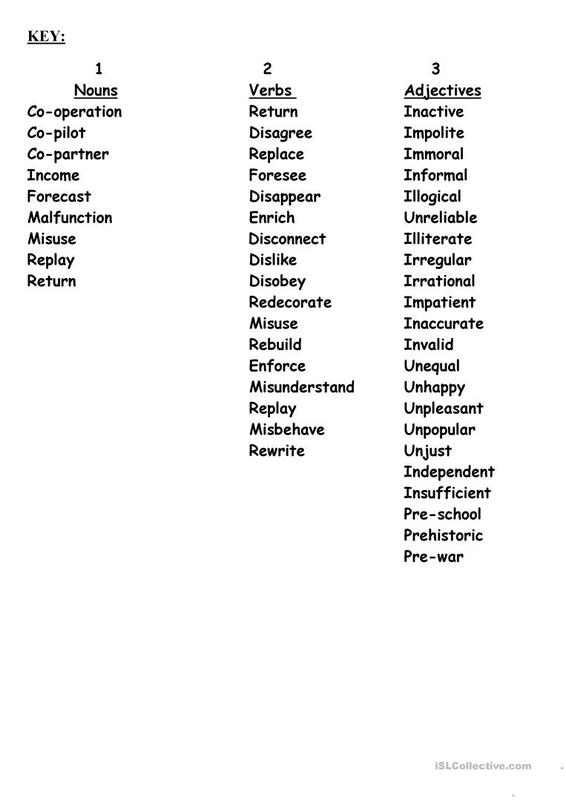 It is a useful material for teaching Prefixes (e.g. A, UN, IM, DIS, MIS, EN, etc. ) and Word formation in English, and can be used for working on your learners' Speaking and Reading skills. You will find the key at the end of the worksheet.